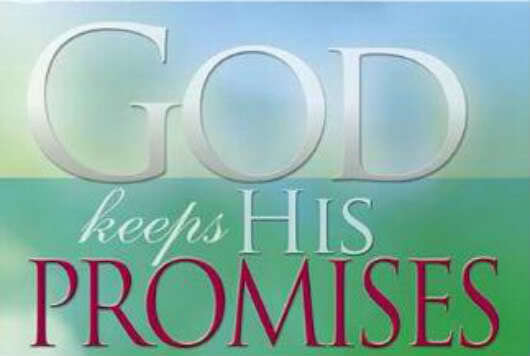 I obligate Myself to perform My promises to you, says the LORD, for I do not promise in vain. I will not speak and not be a doer of My Own Word. For that which I speak is infallible truth. Nothing will interfere with Me or My Word or MY Work. Did you not know that I AM the Almighty, and I cannot be stopped, detained, deterred or distracted? I cannot be threatened. I created all things for My pleasure and purpose and glory and eternal kingdom and I created you to be eternal, says the LORD. You fit in. You have a place in Me as MY child. You are not just a servant, but adopted into MY family. You are royalty. I have a blood covenant with you and you are fully positioned in Me to receive all that I have promised you. I Am good for MY WORD, and I obligate Myself to honor your faith, says the LORD. I will answer. I will provide. For when you became Mine, I obligated Myself to care for your soul, says the LORD. I took you under MY wings and you will not be excluded from My table. Just come in! Come into My presence. The doors are open to you always! You do not have to pound on them or scream for them to open. You need no permission. My presence is where you belong. My table is spread for you. COME and DINE! Drink. Eat. Fellowship and enjoy, for there is no favorites with ME. Whosoever will may come and eat and drink freely. I obligate Myself to honor those who honor Me. Those who pursue Me are pursued by Me, says the LORD. Did you think that I have no obligations? I obligate Myself to perform My miraculous acts in your midst as you come to Me in simple faith. I honor that, and there is nothing that you need that is off the table, nothing that you need is denied, says the LORD. SIMPLY RECEIVE, for it is already there….for your discovery, says the LORD. Amen! I am totally dependent on You Lord! Thank you Abba Father, for your mercy is on me. Your grace is un- ending. POWERFUL WORD. WOW THANK YOU HOLY SPIRIT. AAMMMEENNN and AAMMMEENNN WOW WOOOOOOO HOOOOOOO ALL GLORY TO GOD THANK YOU HOLY SPIRIT HALLELLUJAH HALLELLUJAH AS I BELIEVE RECEIVE AND CLAIM THIS AND I AM EXPECTING IT. IN THE MIGHTY NAME OF JESUS AND ALL GLORY TO GOD ALONE WOW WOOOOOOO HOOOOOOO AAAAAAAMMMEEN NNN AND AAAAAAAMMMEENNNN. Thank you Lord merciful God, Amen.